Clean Energy will offer Redeem, renewable natural gas fuel at 35 public stations in California. 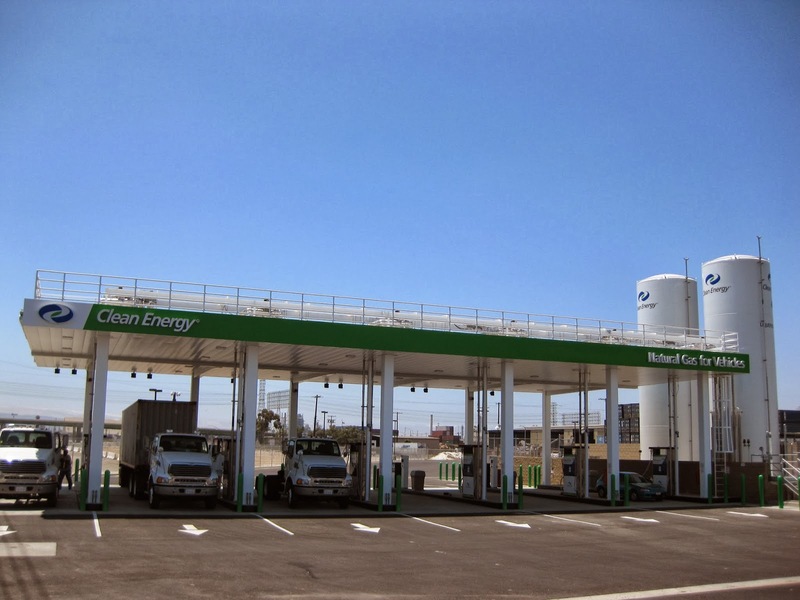 A new type of natural gas fuel entered the commercial market last week: Clean Energy Fuels announced it will be selling ‘Redeem’ at 35 public stations throughout California. Redeem is a renewable natural gas fuel made from waste streams such as landfills, large dairies and sewage plants. Renewable natural gas is produced from biogas and biomass feedstock sources and can be upgraded to pipeline quality gas (also known as biomethane) that is interchangeable with fossil natural gas. It can be used as a 100 per cent substitute for, or blended with conventional gas sources for use in vehicle engines. It’s the first time a company will be offering this type of fuel for sale to the public. But it’s not the first time fleets have used the fuel. Waste Management, has been using biomethane from its landfill to fuel many of its more than 2,000 garbage trucks, the majority of which are equipped with engines supplied by Cummins Westport (CWI). Since 2008, Cummins Westport has sold about 8,000 natural gas engines in the waste recovery and recycling industry. A New York Times article published on October 2 states that Clean Energy’s announcement came as a surprise to many in the transportation industry; widespread, publicly available renewable natural gas was not anticipated this year. The article’s author, journalist Diane Cardwell states that California’s state-level incentives are encouraging the adoption of cleaner fuels, as the state aims to reach 1990-level carbon emissions targets by 2020. Clean Energy’s announcement states that Redeem is being produced at facilities in Dallas, Texas; Canton, Michigan and is constructing a third facility in Millington, Tennessee; it’s also being sourced from third parties. Thousands of cars, taxis, shuttles and industrial fleets in California are now using Clean Energy’s Redeem fuel, including around 600 vehicles at the San Francisco International Airport, which announced on October 4 that it would be using Redeem fuel at the airport’s two CNG stations.